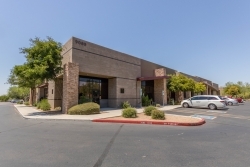 Scottsdale, AZ, February 15, 2018 --(PR.com)-- The team at Menlo Group Commercial Real Estate is pleased to announce the successful sale of a professional office building in North Scottsdale. Constructed in 2004, the one-story, multi-tenant building spans 15,691 square feet. It is conveniently located near the Scottsdale Princess Resort, the Scottsdale Airport, and the acclaimed TPC Scottsdale Golf Course. The building sold for $2,999,500. The office building was previously owned by the APH Family of Companies, a top real estate development and hospitality firm in Rancho Cucamonga, California. The property sold to an owner who intends to occupy an 11,831-square-foot office. Menlo Group Vice President Steve Berghoff represented the APH Family of Companies in this successful transaction. He later explained, "It was a pleasure to work with both Kevin Brooks of APH and the buyer. Both parties involved are happy with the outcome. I appreciate the opportunity I had to play a role in that." A full-service commercial real estate brokerage, Menlo Group Commercial Real Estate serves a variety of markets in the Phoenix area. These include medical and dental offices, industrial, retail, child care and more. The company represents buyers, sellers, tenants and landlords. The ultimate goal: illuminating a clear path to success for clients, advisors and employees. Commercial real estate provides a valuable vehicle for the Menlo Group, which uses this avenue to help Phoenix's finest achieve their loftiest goals. Menlo's team helps clients find the perfect structure and location for their unique needs, as well as the right tenants for each building. Passion is evident through every step of the process. To learn more about Menlo Group Commercial Real Estate, its latest sale and new real estate opportunities, contact Steve Berghoff at 480-659-1777 or by email at steve@menlocre.com.